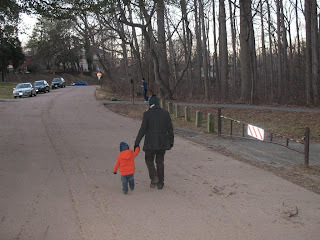 On New Year's Day, we decided to explore Rock Creek Park. 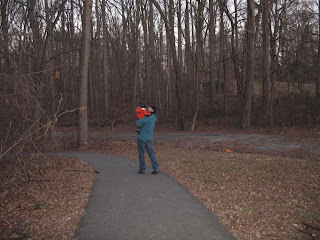 We took a walk through the woods - it was really pretty and not too cold. 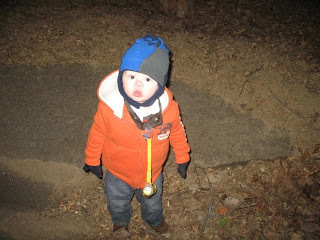 Asher got to wear his new pea coat...he looked so cute all bundled up!